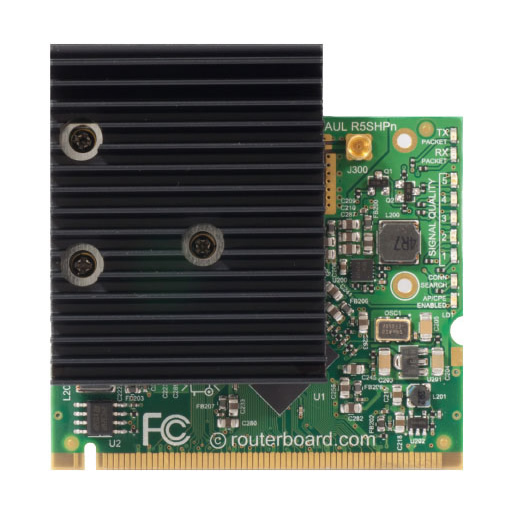 The 5GHz super high power wireless card for long range links and powerful access points. This is the professional choice for reaching the last mile. 800mW transmit power will give you the ability to reach even further than before. This card is capable of up to 125Mbit throughput. Increase your wireless performance with 802.11a/n in the 5GHz band. 802.11n in your Wireless device provides higher efficiency for everyday activities such as local network file transfers, Internet browsing, and media streaming. The R5SHPn card has one connector/chain, for installations where multiple antennas are not possible or required.